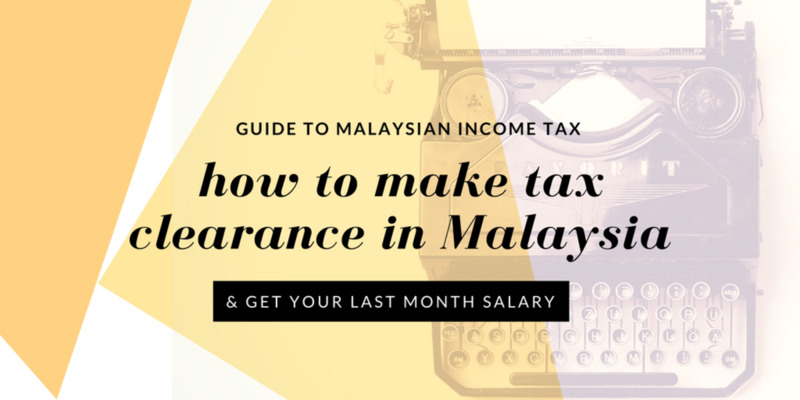 Are you looking for a job in Malaysia, considering an expat assignment in the country or already working here but is still confused on the country’s tax structure? Then this article will try to explain the various tax issues and help you understand it better. 1. 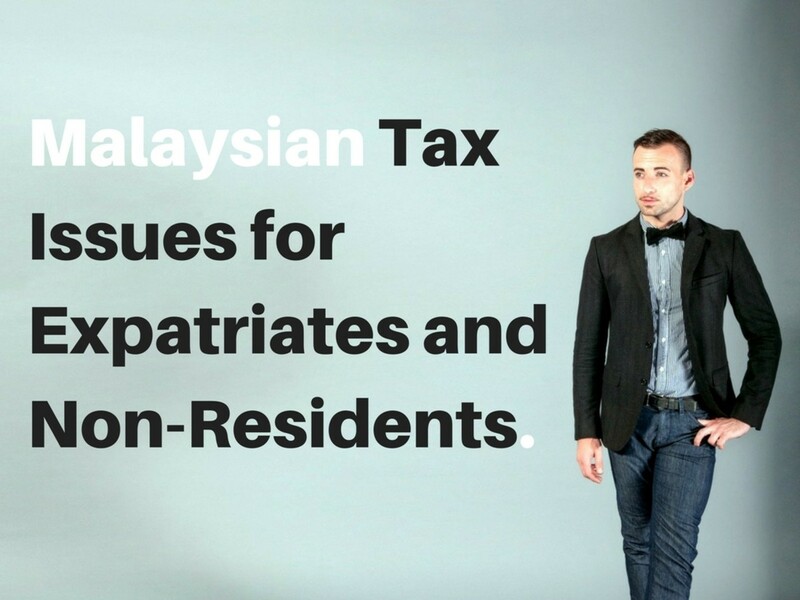 What is Malaysian Tax Rate for Expatriate & Non-Residents? What if I Have to Travel OUT of Malaysia within this 182-day period? then this brief absence shall be considered as part of your required 182-day. 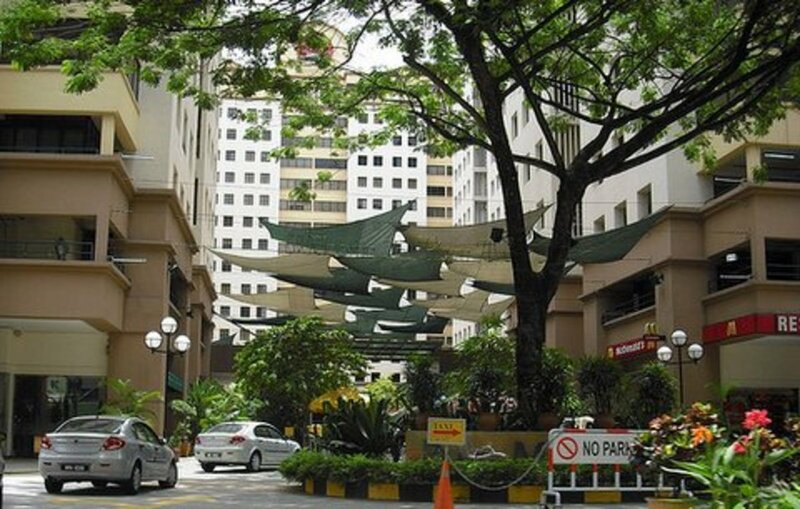 For detail definition of Residence, refer to LDHN site here. What is Certificate of Residence (COR)? A Certificate of Residence (COR) is issued by LHDN to confirm your residence status for Malaysian tax purposes. With this COR, you can claim tax benefits under the Double Taxation Agreement that Malaysia has with several countries, and to avoid being tax twice on the same income. List of movements in/out of Malaysia for the year of assessment that you are applying. You can also apply online through e-Resident. How Long it takes to issue COR? If all documents and information are complete and in order, it will be ready within three working days. Application and Issuance of COR are free. Usually, your company will arrange this for you. If this is not the case, go to the nearest LHDN's office to register and get your income tax number. Bring your passport with you. Please do this within two months of your arrival into the country. The last day to submit your Malaysian tax return is 30th April each year. But do not wait until this very last day as the Inland Revenue Board of Malaysia office will be packed with last-minute submissions and you are bound to be stuck there for hours. This also applies if you file online. Filing of Malaysian tax return can either be online (e-Filing) or manual filing. Fill in the form and submit before 30th April for each year. For e-Filing, you must first be registered as an online user. To register, you can email them at pin@hasil.gov.my and attach a scanned copy of your passport. Alternatively, you can go to the nearest LHDN's office to register. This is a one-time process and you do not need to register again for your next assessment year. Just do not lose your username and password. For both manual and e-filing, you do not need to submit your supporting documents. However, you must keep it for at least seven years as within this period LHDN has the right to check and audit your submission. Before you can fill in the manual or e-file form, you need information from your company on the total remuneration paid to you during that assessment year. This EA form is issued by the end of February each year and you will use the information as given out in that form, when filing your tax return. * as approved by the Director-General of LHDN. Malaysia tax year is the calendar year. 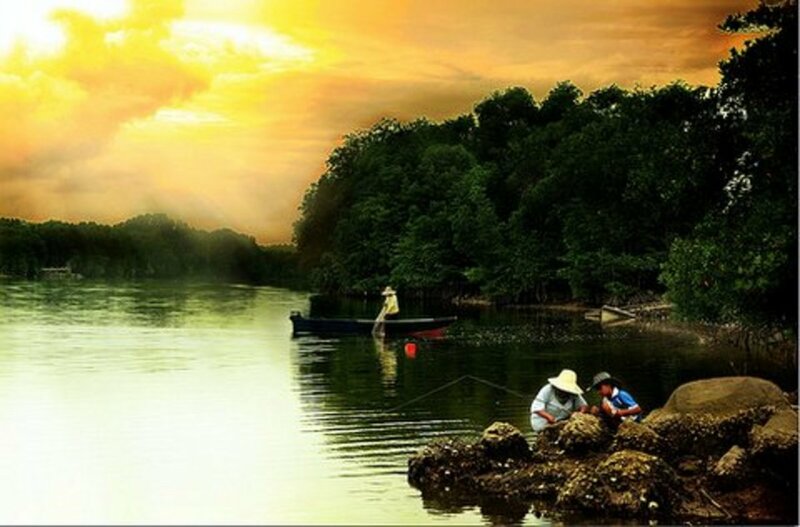 Tax in Malaysia is based on the self-assessment regime. Your income is deducted by your employer under the pay-as-you-earn scheme and then remitted to LHDN on a monthly basis. 5. Is There a Penalty for Late Submission? A penalty is levied for any delay in submitting your Malaysian tax return forms. As mentioned earlier, all submissions must be on or before 30th April for each year. Income received during your first 182 days will be taxed based on a non-resident flat rate of 25%. From 183rd day onward, the tax rate will vary. It will be based on the tax table as provided below. Since your contract is more than a year, you will be filing your tax return twice, e.g. the assessment year 2014 and 2015. Your assessment year 2015 will be calculated based on the resident tax rate and the non-resident flat rate of 25% will no longer be applicable. 7. Can I Get Any Tax Relief for My Family? If you have family staying with you in Malaysia and you are considered a resident, i.e. stayed more than 182 days in a year, then you will be entitled to several tax exemptions. Please refer to IRBM Explanatory Notes for this list of tax exemptions. Do You Know That You Need to Apply for Tax Clearance? 8. Can I Get Tax Rebates at the End of My Contract? Unfortunately, there are no special tax rebates at the end of your contract period. 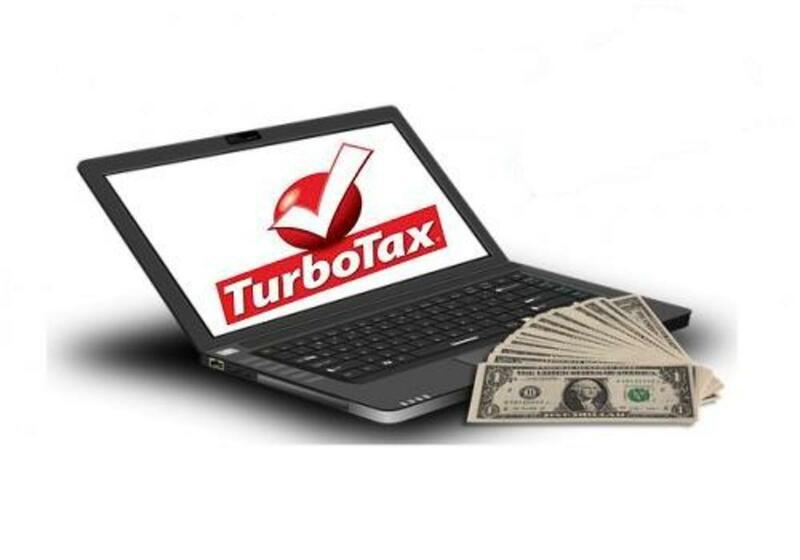 Any tax incentives and rebates are already provided for (follow the link provided above to see these rebates) and are the same as when you do your yearly tax return. Before leaving Malaysia at the end of your contract, don't forget to get your tax clearance from Income-Tax Office, LHDN. 9. Will I be Subject to Withholding Tax? Non-residents will be subject to withholding tax only on the following types of income derived in Malaysia. 10. Is the Reduced 15% Tax Rate Applicable to me as a Foreigner if I Work in ISDR? Both Malaysian and foreign nationals that are categorized as “knowledge worker” will enjoy the reduced tax rate of 15% if you reside and work in the Iskandar Development Region. Definition of “knowledge worker” is working in certain qualifying activity with a designated company. Your employment must start on or after October 24, 2009, but before December 31, 2015. You must not receive any Malaysian employment income for at least three years prior to the date of this reduced tax application. 11. Will I be Subject to Capital Gains Tax? However, if you bought and sold real property in Malaysia, any gains received from this disposal is subject to real property gains tax or RPGT. Any disposal made within the first three years is subject to 30% RPGT. For sales made in the third, fourth and fifth year will be charged at 30%, 20%, and 15% rate respectively. No RPGT for any disposals made after the fifth year. An Update on the Purchase of Malaysian Properties by Foreigners: The minimum price of RM500,000 is now increased to RM1m. The current maximum tax rate of 26% for personal income is the second lowest in the region. This rate will be reduced further to 25% from assessment year 2015 onward. An expatriate who has gained resident status will enjoy tax rebates and other incentives. Their effective tax rate can hence go down to 21%. 12. If I Work for Foreign Companies in Malaysia whose Office is Classified as Operational Headquarters, How Will I be Taxed? You will be taxed only on your chargeable income earned during your stay in Malaysia. 13. What is the Tax Rate for a Foreign Public Entertainer? Currently, it is a flat rate of 15%, provided your stay is less than 182 days. 14. How Do I Claim for Refund of Excess Tax Payment Made through the Monthly Tax Deductions? You do not have to apply or request a refund as IRBM will process this within 30 working days for e-filing submissions and within 90 days if submissions were posted or hand delivered. If you do not receive it within this stipulated time frame, there is a possibility that IRBM may want to audit your tax return. If this is the case, you should have received a letter from them on this matter. If you have not heard from them, then you should visit the nearest IRBM office for information relating to your tax return. 15. What if I Submit My Tax Return After the Due Date and There's a Refund to be Made by IRBM? Any late submission of your Malaysian tax return will be fined and once you pay this penalty, any excess tax payment will then be processed for reimbursement. 16. How Do I Know That IRBM had Made the Refund of Excess Tax Payment? LHDN will credit directly to your bank account that you had registered with them. Unfortunately, there is no notification from when this transfer happened. You have to check your bank statement for any 'additional' credits to your bank account, which can be daunting to some people! That is the only way to check otherwise you can call LHDN on when they credited your account. Malaysia's personal tax rate may not be the best. For Malaysia to stay competitive, it needs to lower the current direct tax rates. The government had earlier announced the reduction to 25% from the current 26% for personal income tax, for assessment year 2015 onward. Although this is a good move, it is still high compared to neighboring country such as Singapore. I hope that when the country implements the GST, the personal tax rate will be reduced further. Despite all these, Malaysia remains an attractive country to work and stay. The slightly higher tax rate is offset by the relatively lower cost of living compared to Singapore. Hence, effectively you get to spend less and have more. I hope this article helps clear some of the issues and questions that you, as an expat or would-be expat may have on our country's personal income tax structures. If you need more information on other tax matters or for location and address of IRBM nearest branch office, you can visit the Inland Revenue Board of Malaysia website. While you are here, don't forget to go out and enjoy your stay here in Malaysia. There are instances where questions posted are already answered/highlighted in the article. Likewise, a similar question was already posted by other readers and answered. So effective today, 5th Jan 2017, I will no longer reply/answer to a question if it has has been posted before (and answered) OR the answer is already highlighted in the article. I will also NOT answer any queries sent through email. Any questions to submit through the comment box below, please. I enter Malaysia from March till now. I went back to my own country for 20 days. Am I able to get a refund on my taxes? Your 2018 tax is only due in 2019, and any refund will be made after the submission in April 2019. I started working in Malaysia from 2nd October 2017. I e-filed the income tax return for that period in March 2018, which is 28% salary. I continued working in Malaysia and now got the resident status in the first week of July 2018. From January 2018 to June 2018 again my company deducted 28% of gross salary as income tax as I was not a resident. Since I am a resident now, can I get the refund of my tax paid in 2017? If yes, what is the process? Did you submit your 2017 tax in 2018? If so, if there was any refund to be made, you would have received it already. I am planning to apply for the MM2H residency as a pensioner (+50). For tax purposes does the Malaysian government checks the number of days stayed in the country? I came to Malaysia on 29th October 2018. Now, for my 182 days will it continue to 2019 or it will be reset as per 1 January? So, will I finish my taxes in August? If your stay is continuous and was in the country on 31st Dec 2018 and 1st Jan 2019, then the calculation for 182 days will continue in 2019. I am working in Singapore and intend to bring my savings back to Malaysia upon retirement. Will I be taxed? Income derived from sources outside of Malaysia is exempted from tax, so this applies to your savings as well. I am an expat in Malaysia, and got taxed as per resident rates in 2017. I stayed for four months in 2018, consecutive to 2017. Initially, I was taxed as a resident, later this was revised and I have been asked to pay the non-resident percentage of pending tax. Could there be some miscalculations here? It is best for you to see the LHDN officer in person to show your records. I came to Malaysia on 15 June 2018 and get the orange working permit visa from 22 June 2018 to 18 June 2019 ( issued by the company), I started working on 9 July 2019. On what day should I start counting from for the 182 days? The day that you started work. I am a Malaysian citizen. I was recently transferred from my London office to Singapore. I bought a condominium in KL while waiting for my transfer. I started renting it out this August. Am I taxable? Any income is taxable. You declare your rental income as well as your maintenance and upkeep cost of the apartment including your interest for the loan. These may set off the net amount that is taxable. I am an expat and I started working in Malaysia in January of this year. 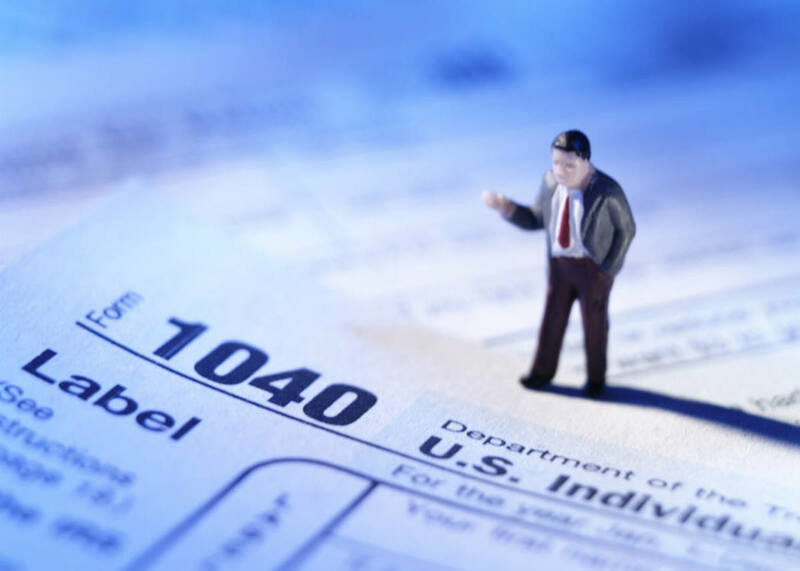 Can I file a tax refund by July? Tax submission is only by end of April of every tax year or before your contract expires (to get your tax clearance letter). I am a Thai fresh college graduate, and I just received a job offer from a company in Malaysia. My work will commence at the beginning of February 2019. Do I need to apply for COR? And what about tax return? A Certificate of Residence (COR) is required and this is to confirm your residence status, which will be used for your tax purposes. Malaysia has the Double Taxation Agreement (DTA) with Thailand and this COR will help you claim the tax benefit under the DTA. Also, you will avoid paying tax twice on your income. I'm a Malaysian with no income in Malaysia. I do not pay income tax to Malaysia government. When I come across an investment plan, I was asked if I am a Malaysian tax resident. How should I reply? Am I a Malaysian tax resident? Your reply is a Malaysian tax resident. I am a not a resident or citizen of Malaysia. Recently, I conducted a two-day workshop in KL, and the organizer deducted 15% from my fee for withholding taxes. Is there any way to get a refund for these withholding taxes? As you mentioned, I should not be taxed for staying less than 60 days. You have to talk to the organizer and ask the reason for this deduction. Show them proof that it was not required. I lost my employment in 2015 but was compensated for my loss of employment in 2017. The company has deducted the tax payable (after confirmation from LHDN) and the tax has been paid. I do not work in Malaysia anymore, so do I need to file income tax this year and reflect this income and tax paid? Would expat mobilization/repatriation costs for shipping of household effects be considered a benefit in kind and subject to tax? If it is part of your allowances and if declared as an income, it is taxable. How is income earned from a foreign company (while living in Malaysia as a foreigner) taxed? Your income is from a foreign company with an office in Malaysia and paid from this company? Then the usual tax for Expat (as per my article) ruling applies. I am an expat and my start date in Malaysia was November 8th, 2018. On April 30th, I’ll be here for less than 182 days. Should submit the income tax? Yes, you have to submit the tax return for the tax year 2018. In your case, you have to declare your income for period 8th Nov 2018 till 31st Dec 2018. Yes, it is less than 182 days. There is a consultant from Singapore in our company who is a tax resident. Who is supposed to pay their income taxes? The company that hires them or are they themselves responsible for their Singaporean income tax? And what is the percentage of deduction for Singapore's tax? The individual is responsible for their own tax and since his income is from a Malaysian company, he still has to pay Malaysian tax. The percentage depends on his circumstances and you can get the details from the article. Hello, If I work in Malaysia from 27 August August 2018 until 27 March 2019 without going out of Malaysia, am I eligible to fall under resident tax? Besides that, I also worked in Malaysia from January 2017 to January 2018. Kindly help me with this concern. Your Jan 2017 to Jan 2018 in Malaysia already qualifies you as a Resident (for the tax year 2017). But your leave of absence is too long to link 2018 to 2017. Your stay in Malaysia for 2018 is also less than 182 days. So, for the tax year 2018, you are a Non-Resident. I'm an engineer holding Singapore citizenship and attended few project committee meetings in Malaysia. I did charge my time costs to Malaysia entity for attending the meetings. Is this time cost subject to Malaysia Withholding Tax? Unfortunately, the time cost is subject to the Malaysian withholding tax as per section 109B of the ITA 1967. I started working in Malaysia in November 2017. In April, I submitted my income tax form. For the year 2018, will I be refunded after I complete the 182 days (in June)? Will the excess tax that I had to pay before I completed 182 days be refunded to me when I submit my income tax form next year? What you submitted in April 2018 was for income earned in 2017. Income for 2018 will be submitted to the tax office by April 2019 and any surplus will be refunded the following month. I came to Malaysia as a Ph.D. student in 2012 September and completed my graduation in 2018. I have got a postdoctoral fellowship offer now and will be joining as an employee this January 2019. In between, I went back to my country a few times for work and for social visits. Last time I went for a social visit to my country and came back on 17th July 2018. I believe I should be counted as a resident. Now, I need to know if I join on Jan 10th, 2019 how much income tax should I have to give? When is the exact date of your graduation in 2018? It seems like there is a long gap of more than 14 days between your trip home and your stay in Malaysia. 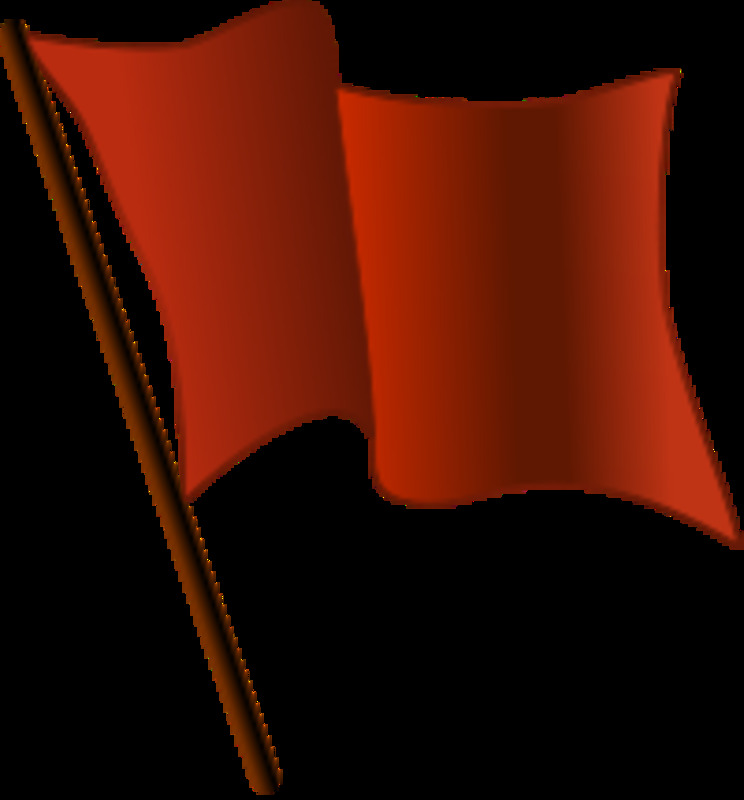 So, for your start work date on 17th January, you will be under non-resident status. The company has appointed a foreign consultant, and paid a consultant fee. What is the tax treatment for this fee? Should we deduct 28% to pay for the income tax? Sammy, a CoR is to confirm your residence status for the purpose of taxation so that you will not be taxed twice on the same income and to claim the tax benefit under the Double Taxation Agreement that Malaysia has with several countries. So, it is advisable for you to do so in case your country of origin is looking at your income in Malaysia for tax. Hi please help. I came here in Malaysia last 22 August 2018 and went out for a social visist last Dec 22 to Dec 31 and came back Jan 1st 2019. Shall my 182 days will it continue to 2019 or it will be reset as per 1st January and another 182 days for 2019? I am non resident of Malaysia, I joined one company on Nov-18, went to home town in Dec for 10days. While coming back immegration stamp not happen as I am having ikad, can you please advice how tax dept will calculate days? I have started working in Malaysia on Work Permit after 10th Jan 2019. I want to work here only for 182 days .. I would be charged 28% tax for initial 182 days right. After 182 days I would be residence in Malaysia.but i want to go back to India after 183 days. Whatever 28%. Charged to me .. Can I Claim for that.. what is the process and When I can do this..
1) my days in country starts from the day i came to country or from the day i started job? 2) in any case number of days are more than 182,will I be taxed for resident or non resident tax in 2018? 3) I will leave job and country in January 30 2019, for those 30 days will it be resident or non-resident tax? I started working in Malaysia from 12th November 2018. I received my first tax receipt and I am being charged 28% (I learn that for the first 6 months I will be considered as a non-resident) When I finish 182 days in Malaysia and get a resident status - will I be getting a refund for this amount?. i work in malaysia but my company send me to overseas to work there and i am receiving allowances and others do i need to declare to income? I had filed Tax return in 2018 and couldn't follow up with Tax officer till October 2018. I have submitted Letter from employed about Business Trip. Now Tax officer is telling as i have not completed 182 days in 2017, they will link next year and check whether i have completed 182 days from Jan 2018 to July 2018. They are not considering my Social visit (which is less that 14 days) and business trip days to calculate 182 days in 2017. I working in x company for 3 months in Malaysia (KL) due to my father's health condition I can't continue my job so can i claim my tax amount for these months? I came to Malaysia on 6th May 2018 on EP1 and EP2 started from 15th May 2018. Start day calculated from Malaysia entry date with EP1(May 6th 2018) or EP2 start date(15th May 2018)? I came to malaysia i May 2018 and completing 182 days by November. I am planning to leave malaysia in May 2019. What is the percentage of tax to be paid from Jan to May 2019? is it same as resident ?Please help. My stage 2 stamped on 27th june and till dec 31 it will be 186 days. If I am planning to india for 5 days for example departing Malaysia on 26oct and arriving on 31st Oct.
Will the effective days be 186 or these 5 days will be deducted making it 181 days for tax calculation. I want to know that I came to Malaysia on 5th August 2018 as of now in this assessment year 2018 my total 182 wouldn't be completed. So can you tell me how many days we would require more for complete the 182 days. I mean to say that it's count from august 2018 to feb 2019 or year January 2019 new 182 days cycle would be start. If i stay in Malaysia for less than 60 days, i do not need to be tax. This part is clear. But do i still need to declare the income regardless? Is there any procedure needed to "apply" for this 60 days exemption or is it automatically granted? Hi Mazlan, thanks for the article! 1) Is allowance considered as chargeable income? Such as housing or car allowances. 2. This is on the calculation on tax based on chargeable income. If my annual income (monthly salary + bonuses +/- allowances) is RM100,001. Is the amount of tax payable as straightforward as RM100,001 x 24%? Similarly, for an annual income of RM240,000 will be RM240,000 x 24%? The reason is I ask because I came across a website that uses progressive tax, such as first RM100,000 is a certain % and the next RM50,000 at another %. It will be very helpful if you can provide an example. I am employed in Singapore. My company sent me to Malaysia for projects which on and off may accumulate more than 182 days. Reading the article, which means I will be classified as "resident" and need to pay for the tax? or that "Resident" only applies to those foreign workers that are getting income from Malaysia ? Someone says that they are not allowed to go out of the country for more than 14 days every 6 months cycle otherwise they will be tax foreigner tax of 28%. Is that true? Will the tax reliefs here in Malaysia be allowed if the receipts are from my home country? Also, I have a life insurance from my home country. Can I use that as a tax relief under: Life insurance dan EPF INCLUDING not through salary deduction (6,000 RM)? Mr. James, an Australian sent by his company in Australia to Malaysia to provide consultation to a subsidiary company in Klang. He was in Kuala Lumpur from 1 March 2017 to 30 June 2017. During the duration of his duty from 15 March 2017 to 10 May 2017, he received USD 20,000 which bank into his account in Australia. Last year in 2017, I had started working in Malaysia in Sep. As I was not completing 182 days in FY 2017, I had done Tax return file for FY 2017 on 10th April 2018, which was calculated with 28% rate (Non-resident). Now,as I have completed 182 days in FY2018 (Resident Status), now previous year FY 2017 should be treated as Resident only. It means Can I apply to LHDN for getting back the overpaid tax of FY2017 (Sep to Dec) ? How to proceed for the same, Can you guide me? I came to Malaysia on 19th Jan on EP1 and EP2 started from 25th Jan 2018. 2. for 25 days May 2018.
now if I stay here till sept 2018 my total physical presence in Malaysia will be more than 182 days. can you tell me in this case am I eligible for tax return after Sept 2018? I am an expat in Malaysia, and got taxed as per resident rates in 2017. I stayed for four months in 2018(moved out of Malaysia on april 30th), consecutive to 2017. Initially, I was taxed as a resident, later this was revised and I have been asked to pay the non-resident percentage of pending tax. Could there be some miscalculations here?If I have moved out in april do I have to pay 28% tax for the 4 months? Now,as I have completed 182 days in FY2018 (Resident Status), now previous year FY 2017 should be treated as Resident only. It means Can I apply to LHDN for getting back the overpaid tax of FY2017 (Sep to Dec) ? How to proceed for the same, Can you guide me? I submitted form at the end of March and went to tax office to ask how proceed my tax return and submitted request early this months and still haven’t any received yet. Should I go to tax office and tell them to be hurry again? I paid a lot tax last year. One of my colleagues said that he got some document( cheque) from tax office. Am I supposed to get like cheque too? Mee, yes you must apply for your tax number. In my article, it explains how to get one. I am under DP10 before I got hired by an agency. I started working November 2017,our salry is below RM3100 before epf deductions(we do not have epf so to speak), do I need to get a tax number? i have started my work in Malaysia from 17 June of this year and i would like to know, am i considered as resident or none-resident? im just a bit confusing a bit with definition of 182 days, is it inclusive working days or in total. Shiva, your income for 2017 must be declared in your tax submission which was last April 2018? Did you do your 2017 year of assessment submission? If there is any surplus, you would have gotten your refund by now. i am in Malaysia from August 2017 and company is deducting 28% tax from my salary, do i get refund for the year 2017 when i file Income tax return in the year 2019. Hi sir. Thanks for the time and advice you give here. I arrived here in Malaysia in December 2017. I was taxed for that month. 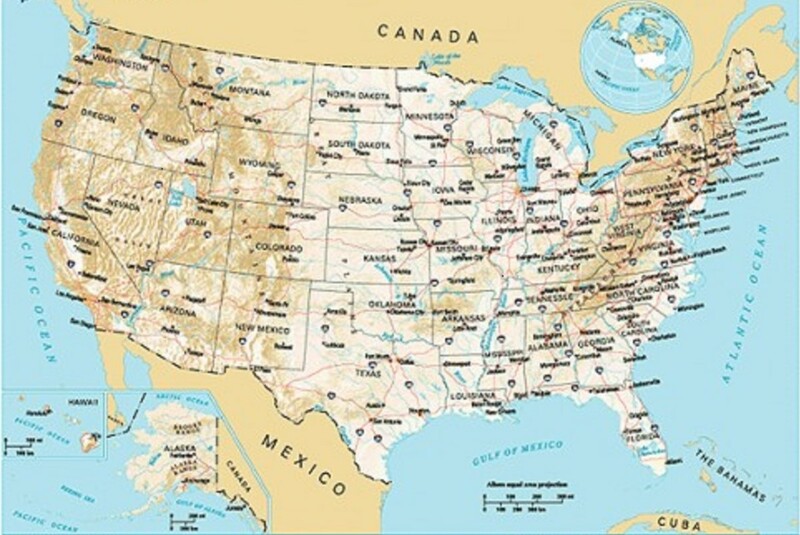 I still work here but have been to the US in 2018 (for a month). As my days here in 2017 totalled less than 60 (most of December) will I be eligible for a tax refund for that period (December 2017)? So by this definition, if your flight is at 6 am on the 7th July and arrival in Malaysia is at 11 pm on 13th July, you are considered to be present in Malaysia on the 7th and 13th July. I am planning to travel out of Malaysia during my initial 182 days period. Can you please let me know whether travelling date (departure/arrival) considered as out of Malaysia or inside Malaysia? As I can be out of country only for 14 days during 182 days period, I need plan my travelling accordingly. ni, if there's any refund to be made, it WILL be credited into your bank account registered with the tax office. You can also give them your home bank account detail and tell them to credit into that home account if it is done after your departure date. may I ask for your advise. I am an expat and filed my taxes via e-filing beginning of April. After 30 days passed and no refund was received I contacted the branch and they reuqested bills and passport copies etc, as I am being audited. The whole process takes a lot of time now. As I leave Malaysia in July this year, I worry what happens if I dont receive my refund before I leave M. Will I never see that money again? My experience is that calls are never answered, so I fear to loose my high tax refund :( what should I do? do you know if someone else can follow up on my case for me, or an agent? I am travelling to home country within initial 182 days period. Is travelling dates considered as "out of the country" or from next day they count number of days? Excluding departure and arrival dates, I am out of the Malaysia for 6 days. In this case immigration considered my stay as 6 days for 14-day 'out of country validity period' or 8 days including journey days. I'm new person to working here. Could you please let me know the rate of tax refund for an expatriate who will be working there long term (more than 182 days)? I understand there are rates based on duration of stay, however have not been able to find information related to tax returns or tax benefits. In this case the employee will be working for more than 3 years. Correct me if I understood this wrong — I arrived Nov 2017 and stayed for the new year in MY so 2017 will be linked to 2018. I would be resident by May 2018 and was expecting my tax refund. However, when I got to LHDN, they told me that I need to complete the 182days for 2018 (Jan - July) and that I should submit extra documents in July to get my refund. So it seemed the linking is void and it doesn’t matter if I was here during new year etc? Hi Mazlan, I would like to ask about expatriate who entitle for resident (stay more than 180 days). 2. education and medical insurance purchase for wife and children outside Malaysia. Zaidi Asad, please refer to item #6 in the article which is self-explanatory. For year 2017 is it still counting as a resident? We are in the same situation as Asad that posted 9 days ago . We arrived July 4, 2017 and are short of the 182 day requirement. We have done our taxes for 2017 and had to file as a non-resident. We plan to stay for 182 days consecutively for the first part of 2018. What do we need to do to recover the excess tax payment for 2017 ? I am working in Malaysia since Oct 2017, and wanted to file tax return for 2017, as i have not completed 182 days in 2017 however i am sure to be in Malaysia up to July 2018 and will be qualifying for the clause of stay of 182 days in the succeeding year and qualify as tax resident, so in this case whether should i file tax return for 2017 as Resident or Non Resident, and if the tax return is filled as Non resident is there any provision to get it corrected by July 2018 and get the refund of the excess tax paid? Hi, I am working in Malaysia since Oct 2017, and wanted to file tax return for 2017, as i have not completed 182 days in 2017 however i am sure to be in Malaysia up to July 2018 and will be qualifying for the clause of stay of 182 days in the succeeding year and qualify as tax resident by then, so in this case whether should i file tax return for 2017 as Resident or Non Resident, and if the tax return is filled as Non resident is there any provision to get it corrected by July 2018 and get the refund of the excess tax paid? Thanks for your valuable inputs. I have a query regarding 14 days absence. Suppose if I leave Malaysia on 1st of a month and return on 5th of the same month then how is the absence calculated. Are 5 days considered as absence or 3 days? I assume 3 because 1st and 5th I will be physically present. Could you please clarify. Heard different versions until now. I started working in Malaysia as a foreign worker in August 2017 and just filed my non-Resident tax (M Form) since the number of days from my start date to the end of the tax year is insufficient for the 182 day requirement and, as I understood, since I was not in the country from 31 Dec 2017-5 Jan 2018, I cannot link last year with this year. So this year, since I have a full year work, I am hoping to fulfill the 182 day requirement. I arrived in the country on 5 Jan, left again to attend to important matters back home on 28 Jan-3 Feb (total of 7 days), and am planning to leave again on 10-13 April (total of 4 days) and 11-13 June (total of 3 days). However, I have no other trips outside of the country left planned until the end of July. I just want to verify if I understood everything correctly (with regards to linking and everything) and if I will be able to file a BE form for the next tax filing since all in all, the days I am away is a total of 14 days and as I've read, we are allowed to leave the country for 14 days within the 182 days, correct? Thank you so much in advance for your assistance, I really appreciate it. Thank you very much for this detailed overview! It already helped me a lot! One more question that I have is whether my income as a resident (staying more than 182 days) would be taxed, if I work for a foreign company that doesn't have an office in Malaysia. Would I be tax exempt, since the source of my income is not coming from inside of Malaysia? Hi cab you please advise? me and my husband have been in the country from 28 September working at a international school . We stayed in the country for 95 days until 31 Dec 2017 and continued to stay without leaving for another 45 days in Jan and Feb 2018 we went to South Korea for 5 days in Feb and have been in Malaysia since, have we according to the tax regulations completed our 183 days? Hi Mazlan, I am planning to move to Penang for work. My salary would be less that MYR 20,000. At what rate will I be taxed? I have 2 school going kids and home-maker wife. Thank you very much. Hi Mazlan, Thanks for sharing valuable information for the expats. I need your suggestion/help in claiming the refund. I came to Malaysia in Sep 2017 and I believe I completed 182 days by now, as I have not left Malaysia from Sep 2017. I am going back to India this month end and I submitted my tax details in order to check for the refund. Unfortunately, the officials informed me that I need to be in Malaysia until June this year to claim the refund. And according to them I am not a resident eventhough I completed 182 days here. From your previous responses to the other users, it's evident that I can get my tax back. But In contrast to that , the officials informed me that I cannot get it back. I have joined a university in Malaysia on September, 2017. And till now, I have completed more than 182 days in Malaysia. My university has not deducted any tax in 2017, and started deducting tax from 2018 as a resident. Now, I got the EA form the university, and I am going file my income tax. According to your replies, it seems I have already qualified for resident status. Do you have any authentic link or document to support this. I am a bit confused between total 182 days connecting from base year to proceeding year. Or it is 90 days in one year followed by another consecutive 182 days in the proceeding year. Please clarify. AK, you sent a similar question through email and I have answered to your email. Pls, check. Yes, you have to be in the country on the last day of 2017 i.e. 31st Dec 2017 and the first day of 2018, i.e. 1st Jan 2018 for the 2017 time spent to link to 2018 and for it to add up to 182 days. What was their answer to the refund? Hi Mazlan, I started working last quarter of 2017 as well. I have a 1-year contract here. I'd been told by LHDN that the 182 days count resets in 2018 and it is only possible to link 2017-2018 if I become a resident status within the first 182 days of 2018. (LHDN actually gave different answers regarding on refunds.) Any insight? He was categorised by ESD under category III-Knowledge/skilled worker,and the validity of employment pass will only last for 12months. I am an expat and started to work in Malaysia last Dec11'17, but will be resigning and last day will be on Apr6'18. Will i be filing my tax for both dec11-31'17 and jan1-apr6'18? What will be the computation then? How is ESOS based earnings to be treated. I am employed in Malaysia and a Tax resident here (expat). My company granted me ESOS which i excercised for the tax year 2017 and my co deducted and sent tax to LHDN. is the income from ESOS subject to tax and does it go under "Statutory income from employment" or under "Statutory income from interest, discounts, royalties, premiums, pensions, annuities, other periodical payments and other gains or profits"
Can you please throw light on whether indeed, i can take this link as base for calculating taxable income from ESOS? i have been Malaysia in last 2 years. now i changed to new employer. i have already paid 28% tax for old employer. now my question is i need to pay 28% for new employer or no need? I have been over 13 years in Malaydia under MM2H. Why is my bank account still classified as non-resident? Any known procedure to have the bank change it to “Resident”? Hi there, I am a Malaysian but currently I am studying abroad but my employer in Malaysia still paying me salary. Am I allowed to claim for lifestyle deductions for sports equipment, books and internet I bought abroad? Or lifestyle deductions are only applicable for spending in Malaysia? Many thanks! I have been living over ten years in Malaysia under MM2H (no work in Malaysia). Why is my bank account still categorized as „non-resident“ ? I have been living in Malaysia as a student for the past 8 years. and I got a job in Oct 2017. I have stayed more than 182 days even before I started working. Hence I believe I am eligible for resident tax, as I have also confirmed this with the LHDN in Nov 2017. However, there was an error made and my office has been making me pay non-resident tax until now. As such, I should be able to file a return by this April 2018 right? How is ESOS based earnings to be treated. I am employed in Malaysia and a Tax resident here (expat). My company granted me ESOS which i excercised for the tax year 2017 and my co deducted and sent tax to LHDN. is the income from ESOS subject to tax and does it go under "Statutory income from employment" or under "Statutory income from interest, discounts, royalties, premiums, pensions, annuities, other periodical payments and other gains or profits" - any scope of getting better tax rebates in this case? I have started my work from June 2017 and have finished 182 days in 2017. Continued my stay in Malaysia till February 2018. Had a 12 days social visit outside Malaysia. Now If I have to return back in April 2018, will my 2018 income tax returns will be filed as Resident ?? Hi Mazlan, Thank you for sharing such valuable information. I started working in Malaysia from Sep 2nd,2017 and would be completing 182 days in March 1st week,2018. 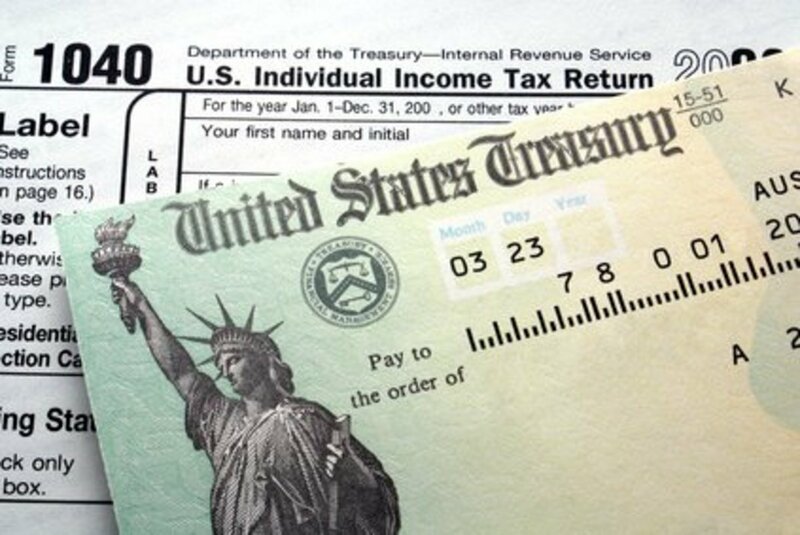 So, If I file the IT return in April 1st week then would I be eligible for the tax refund. As of now,28% tax is deducted every month from my salary. In Case if I am eligible for refund, how much % of tax I can expect back. I am staying in Malaysia for last 5 years and paying taxes regularly as an under resident criteria. recently i switch my job to other company in Malaysia itself does new company should deduct and follow as an resident income tax slab or they will charge considering non resident to Malaysia which is flat 28%? This is a great and super helpful article. Thank you. My partner has been working in Malaysia since February 2017 and we intend to stay for another 2 years. We are not married but are expecting our first child in June 2017. We are both Australian citizens and I have been working from our home in Johor Bahru since we arrived, but only for my Australian clients. No income I receive is derived from Malaysia. 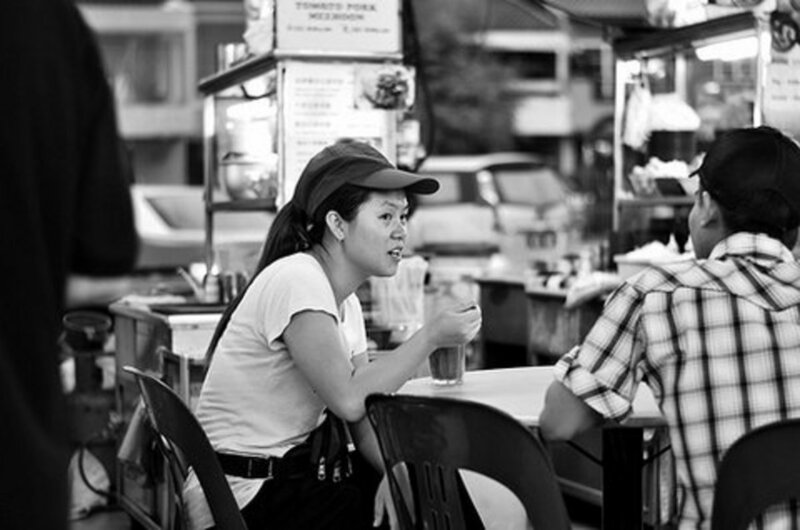 Because I reside here with my partner, do I have to pay any tax in Malaysia? Not sure if my foreign income is taxable in Malaysia if my partner is considered a resident as he is definitely here more than 183 days each year. Any knowledge you have on whether foreign income is taxable in Malaysia or not would be greatly appreciated! Thanks for the really helpfull information here. I have a question related with the 182 days rules. So if i start to work in malaysia from may 2018 (which means i will be in malaysia for more than 182 days in 2018) and i will not tied with any contract since i got permanent position in the company. Will i still charges with the 28% taxes for the first 182 days? Or i will be charges by the normal tax? Hello There, If I was a tax resident in 2017 and I am leaving Malaysia before 182 days. Will the tax rate will be flat 28% for all the days I stay in 2018 or I will be considered tax resident for 2018 too ?? Started work in Malaysia on the 3rd October 2017. Paying 28 % tax through my employer. Do I need to register for tax in the 2017 year? Earning will be under £25501 due to way being paid. And I have achieved my 182 days requirement..
so in 2018 can I go make a social visit for more than 14 days without worrying about the counter reset to 0? Hi Mazlan, I submitted my tax returns on 9 feb. Can i expect tax refund to be credited to my account within a month's time? Hello Mazlan, I'd like to know when can I file my tax and how fast I will be able to get the 28% tax refund? PS : from tax i mean income tax. Miryam, under such circumstances, this is waived by LHDN but I suggest you visit their office for clarification and get their reply in writing for future record and proof. HJ, any income derived is taxable but to be sure, visit the LHDN office to explain the nature of work by the intern and money paid is salary, allowance, stipends to set off transport and lodging cost etc. Jaga, if you have not left Malaysia since 10th Sept 2017, then your 182 days is calculated from 10th Sept 2017, linking your days spent in 2017 to 2018.
om, while there is a double taxation agreement between India and Malaysia, not sure if you can collect your Indian TDS in Malaysia. Vignesh, as described in the article, you have to be in Malaysia on 31st Dec 2017 and 1st Jan 2018 for your days in 2017 to carry through to 2018 for the 182 days calculation. In this case, you have broken the link. Hence, the clock starts again in 2018 for the 182 days and you will be paying the non-resident tax for the tax year 2017. I started work in 10th of October 2017, and I'm planing to go back home on 17th of April 2018 for more than 14 days. My father has serious health issues, how can i apply that as "To seek medical treatment related to your health or your immediate family member" ? I have an intern who intends to work for 3 months with us under the Malaysia-Australia work holiday visa programme. Is this intern taxable under this programme?